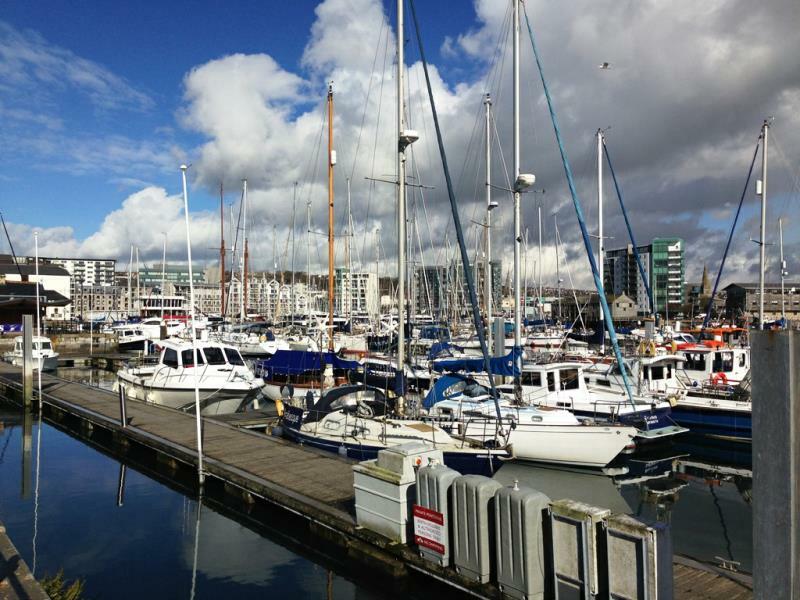 Plymouth’s Barbican area is pretty much its only well preserved historic zone, which unlike most of the city, survived World War II relatively unscathed. It is where you will find many of the main visitor attractions, and is a charming place to spend some time. 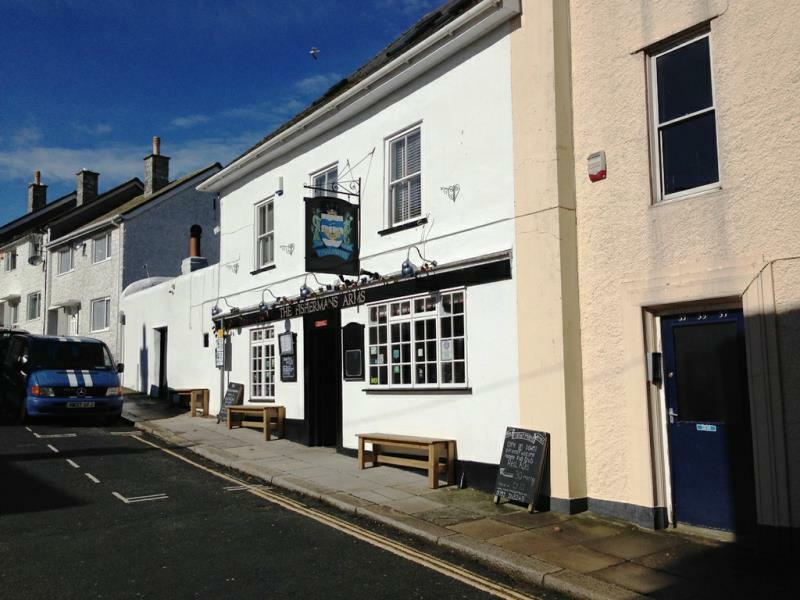 It’s also home to an impressive 15 pubs, primarily along the waterfront, but also with a few up small side streets, meaning whenever you are ready for refreshments, you’re never far from a cool pint or two. With many pubs featuring locally made beers from producers in Devon and Cornwall such as Dartmoor Brewery, Sharp’s Brewery, and St Austell Brewery, as well as local characters bound to entertain you, it’s well worth visiting one or two (or three or four) of them. 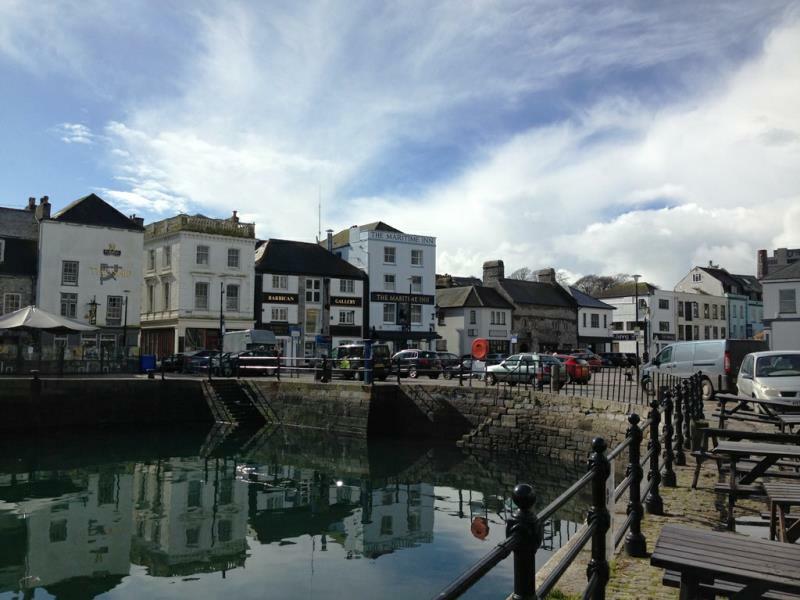 Strictly for the purposes of research for this article, I undertook an extensive investigation of places to raise a pint in the Barbican, and what follows is my own, strictly unscientific guide to the Pubs of Plymouth Barbican. 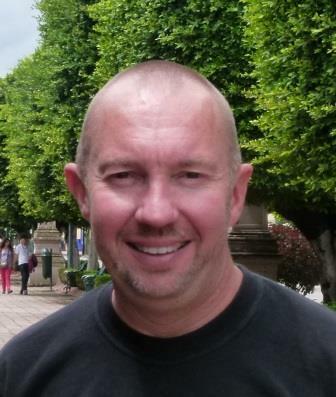 A full listing of addresses and contact information is included at the end of the article. 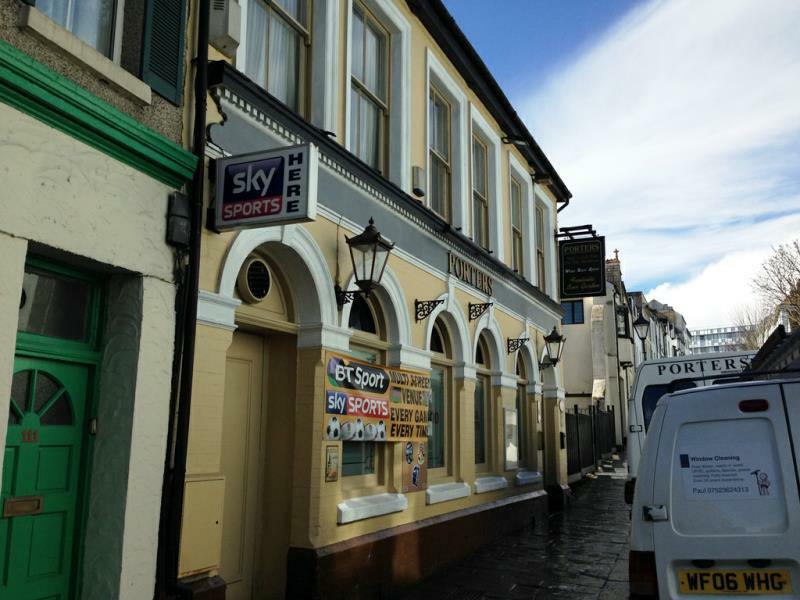 Nearest the city center and only a stone’s throw from Drake Circus are two pubs on Looe Street, slightly outside the main Barbican area. 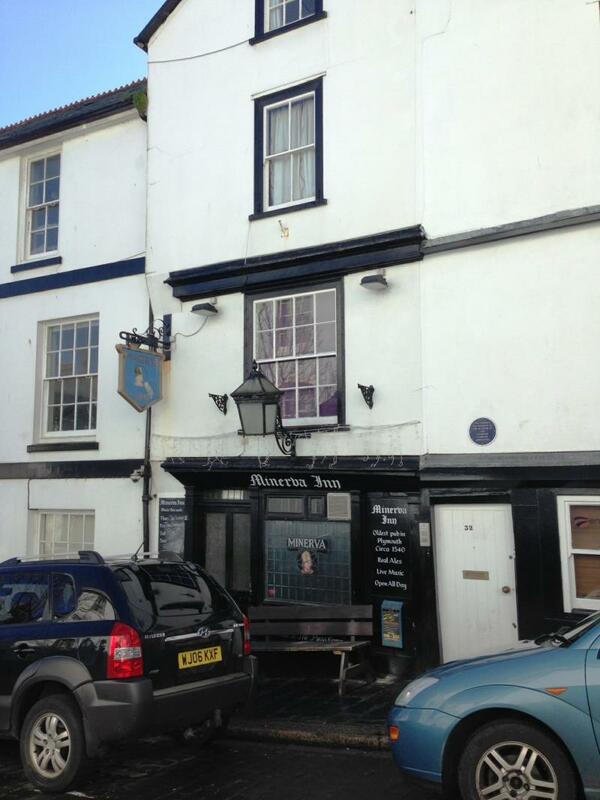 They’re well worth a visit though, as one of them, The Minerva Inn is in fact Plymouth’s oldest pub, dating from around 1540. It’s a tiny place, filled with atmosphere, and a loyal regular clientèle. It offers live music from Thursday to Sunday. 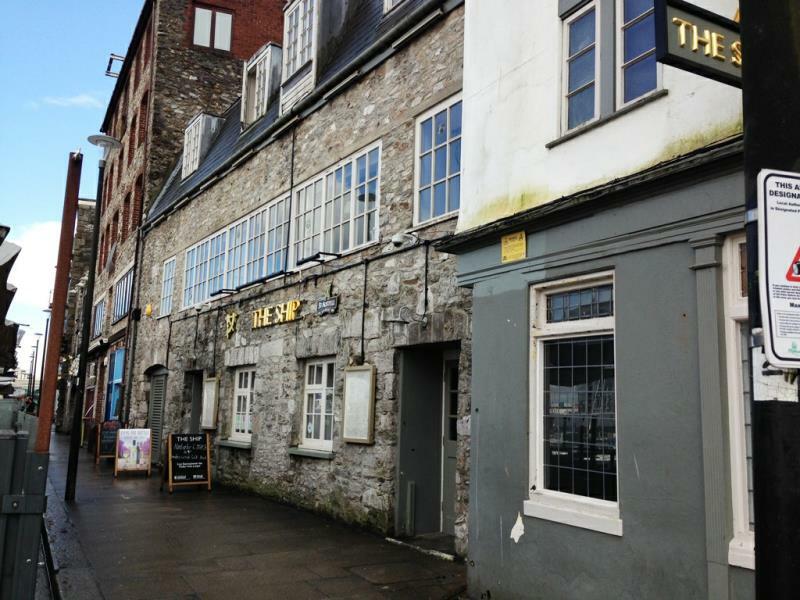 A few doors further down Looe Street is Porters Pub; rather more modern than the Minerva, it offers an excellent outside beer garden and homemade food. 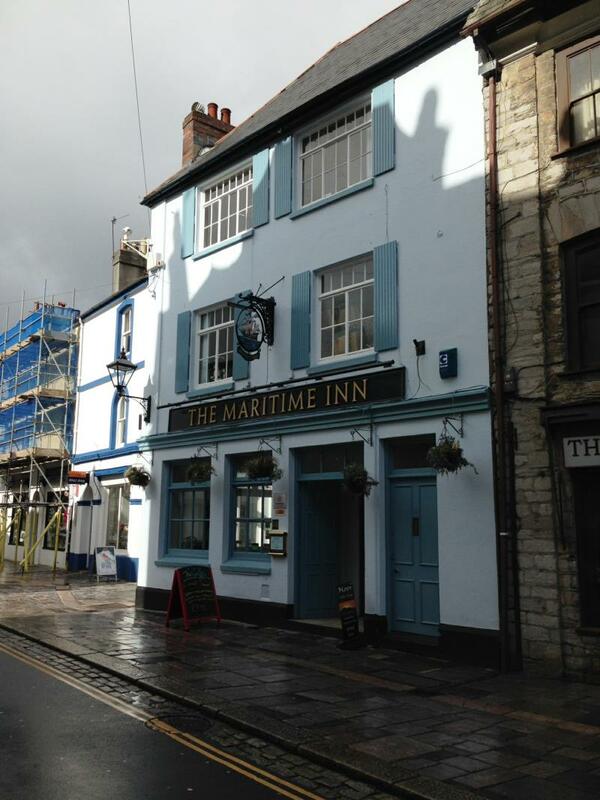 A short distance away on the edge of Sutton Harbour is The Marina Bar, with water views, and directly on the opposite side of the harbour is The China House, a unique place in a 17th century waterside warehouse, offering a rustic atmosphere and extensive menu. Back on the “town” side of the Barbican on Notte Street (the “Gateway to the Barbican”) is The Notte Inn which serves a filling pub menu, has a free jukebox, and is allegedly haunted! 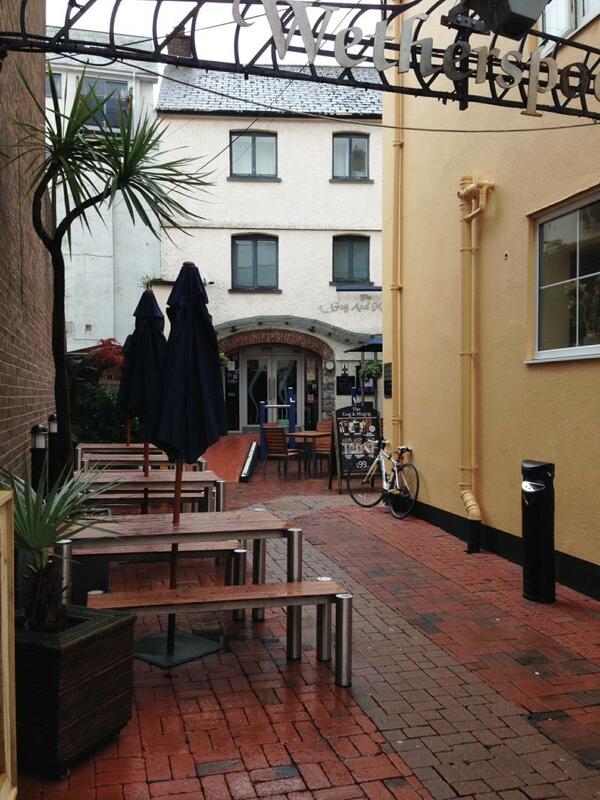 A great place to stop at on your way in to the Barbican, or to return to later! Heading down Southside Street, you’ll soon enter the main area of the Barbican along the waterfront. Before reaching the quay however you’ll find The Gog and Magog, part of the Wetherspoon chain, offering a value priced menu of food and drinks and a pleasant outdoor courtyard area. 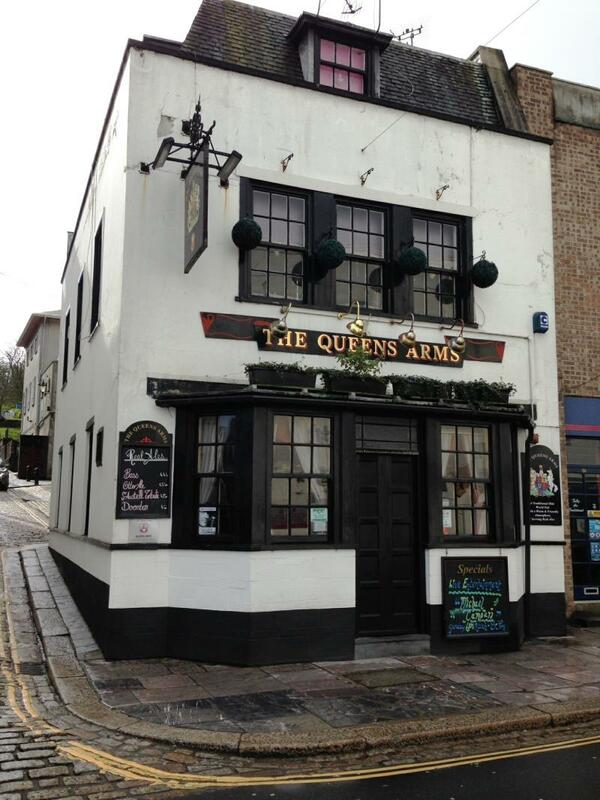 Just a couple of doors away is The Queens Arms, a cozy and traditional pub. It’s a quieter place, which doesn’t serve any food other than packaged snacks. The beautiful wooden bar, which is the centerpiece of the room, is worth a visit in itself. 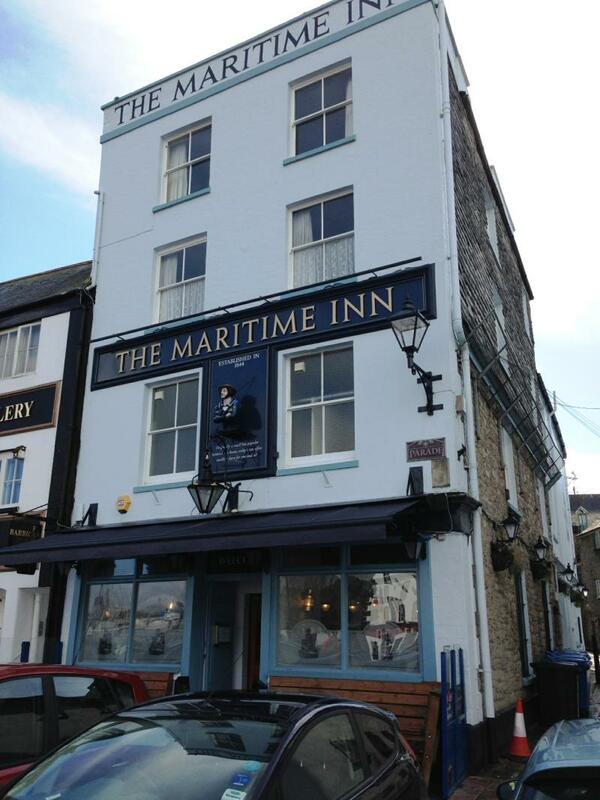 A block away, on the other side of the road is The Maritime Inn, which also has an entrance from Quay Road. It’s a busy traditional pub, with a beamed ceiling. A menu of pub food is offered at “SeaBreezes” inside the pub. 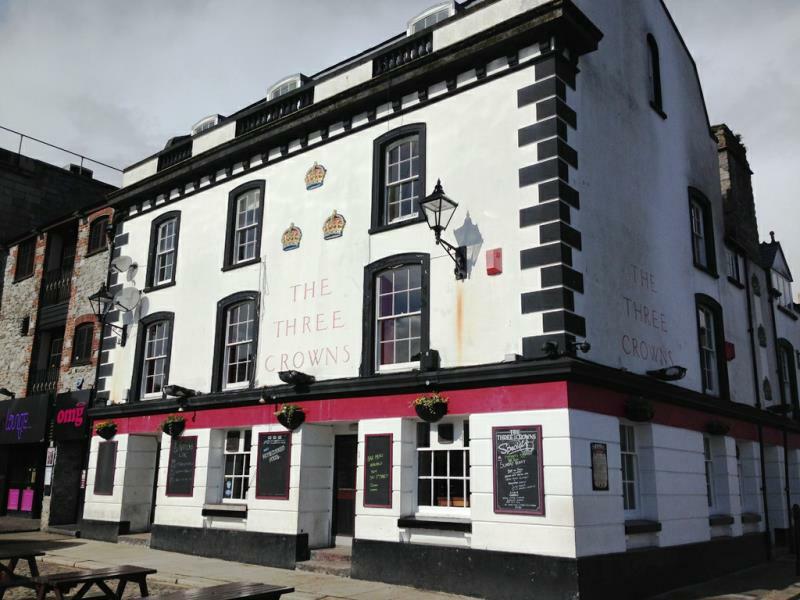 A fixture on the quayside is The Three Crowns, with an extensive outdoor seating area directly on the quay – a wonderful place to enjoy lunch on a summer’s day. At weekends, it’s a popular late evening spot, with music for dancing. 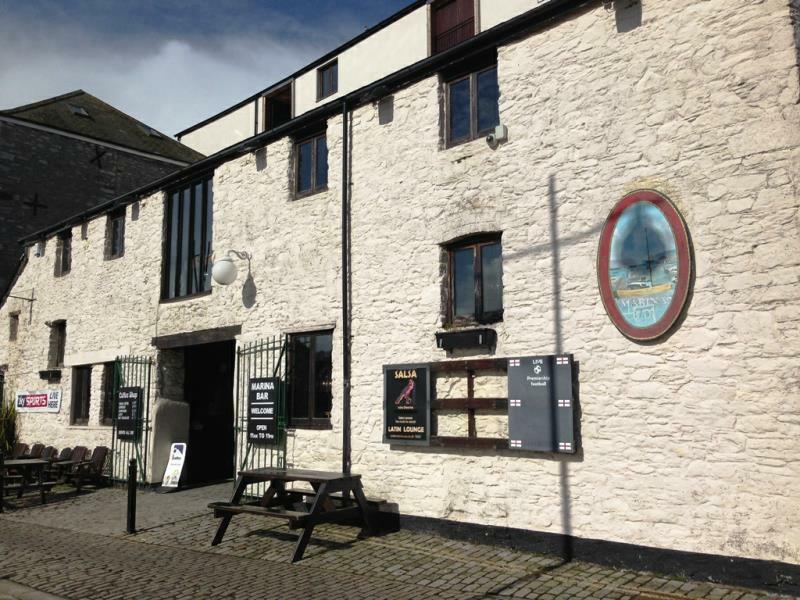 On the other side of the quay is The Ship, part of the St Austell Brewery group; a stylish bar and restaurant which offers a large outdoor area which is heated in cold weather. With its award winning food and excellent beer, it’s a great choice at any time of day. 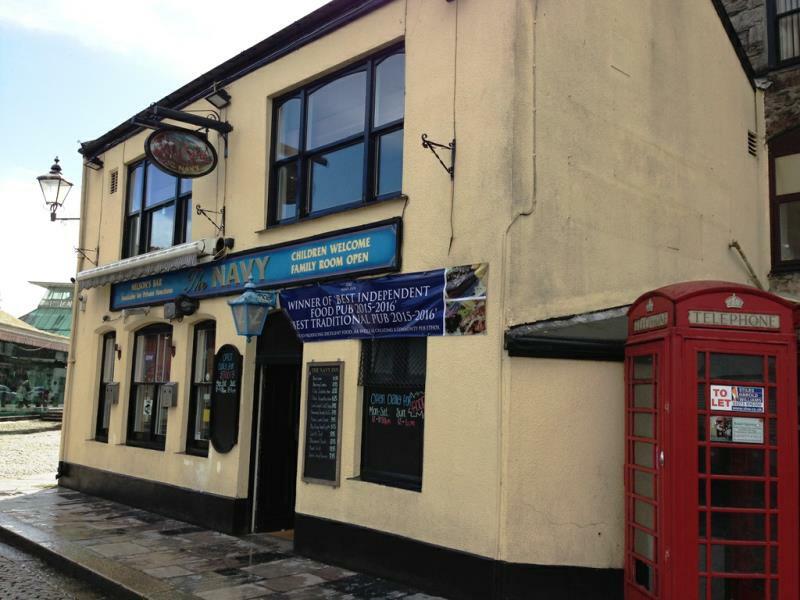 On the corner where Quay Road meets Southside Street is The Navy Inn, a cozy and historic pub in the heart of the Barbican, offering a menu of delicious food, along with live music in the evenings and sporting events on the screens. It’s a popular place, with great atmosphere and friendly staff, highly recommended for a visit. If you’re only going to visit one pub in the Barbican, I’d make it this one. 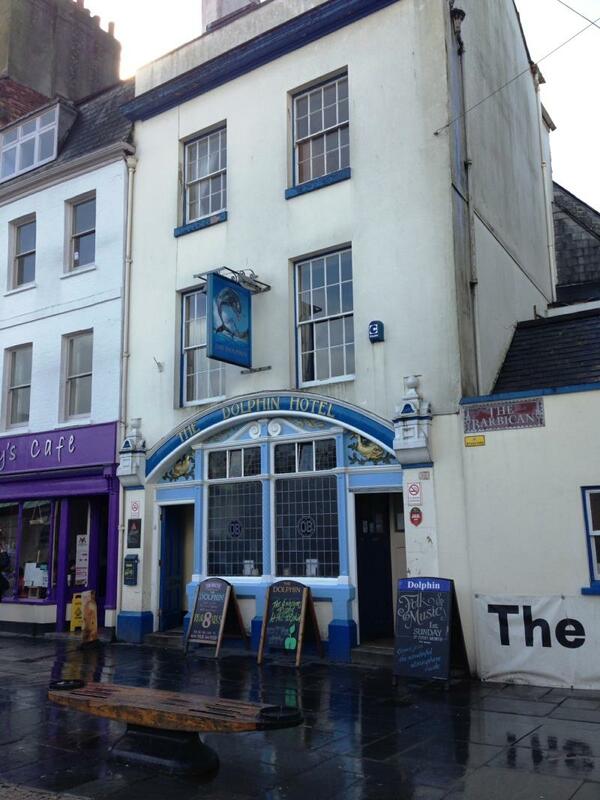 Almost across the street from The Navy Inn is The Dolphin; it’s a traditional, no frills drinking house, with great historical ambience. It’s a “locals” pub, but visitors are warmly welcomed; don’t expect luxury or fancy surroundings, but go for the atmosphere and great selection of local beers. 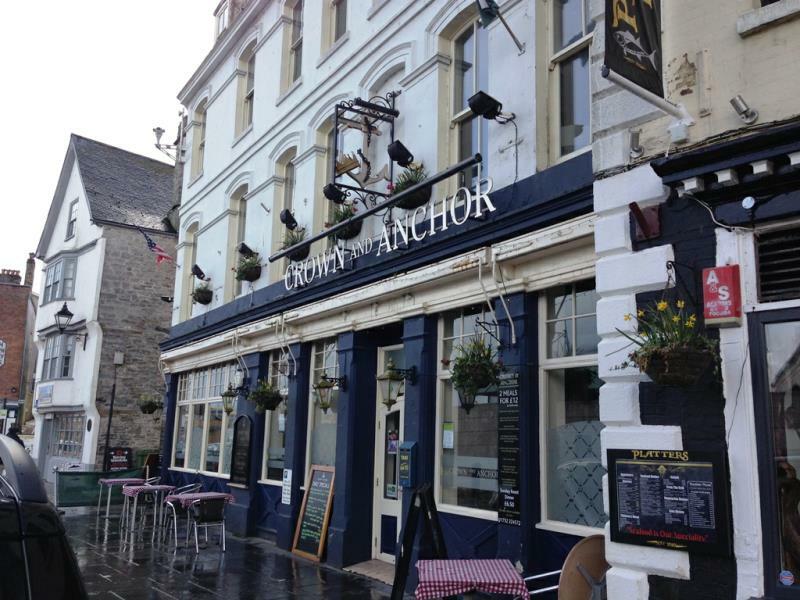 Virtually next door is The Crown and Anchor; nearby, but a totally different experience, since it has a modern, upscale interior, where a good selection of food and drinks is available. 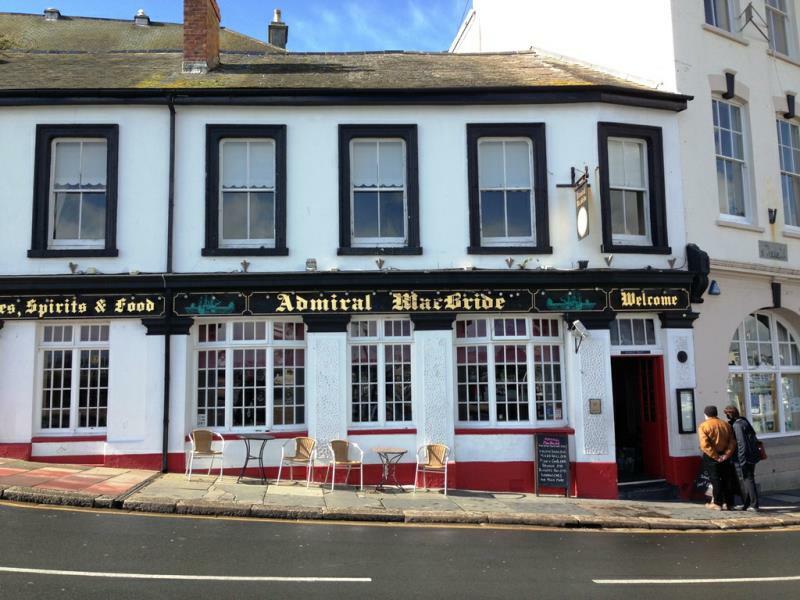 Further along The Barbican, directly across from the Mayflower Steps is The Admiral MacBride, a traditional English pub on the waterfront, with a relaxed bar, and accommodation available to rent upstairs. Last, but certainly not least, just up the hill from the waterfront, and slightly harder to find, is The Fisherman’s Arms. It’s a hidden gem of a country pub, surprisingly located in the city. 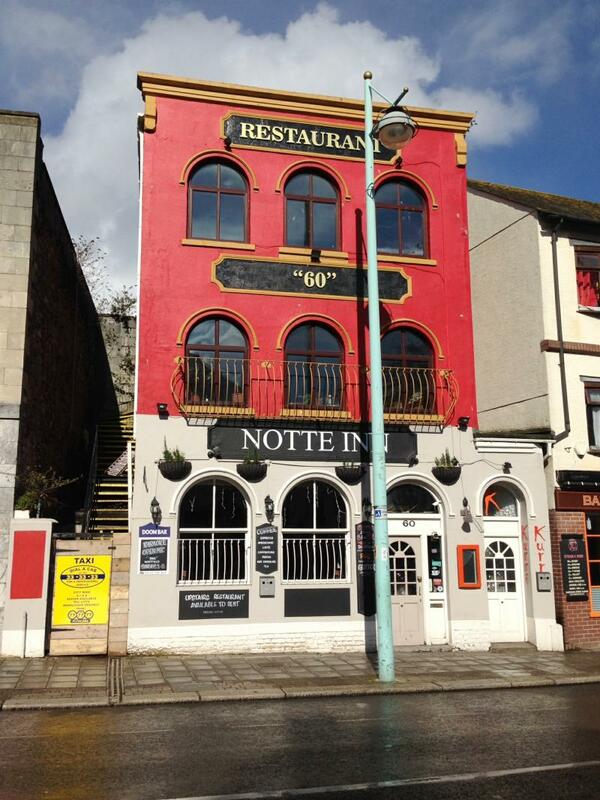 It’s also one of Plymouth’s oldest pubs. It offers local beer, good food, and an open fire in winter. It’s well worth making the effort to find it for its unique country atmosphere. With such a wide selection of places to have a drink, you might want to spread them out over more than one day, and experience some of Plymouth’s other attractions as well. 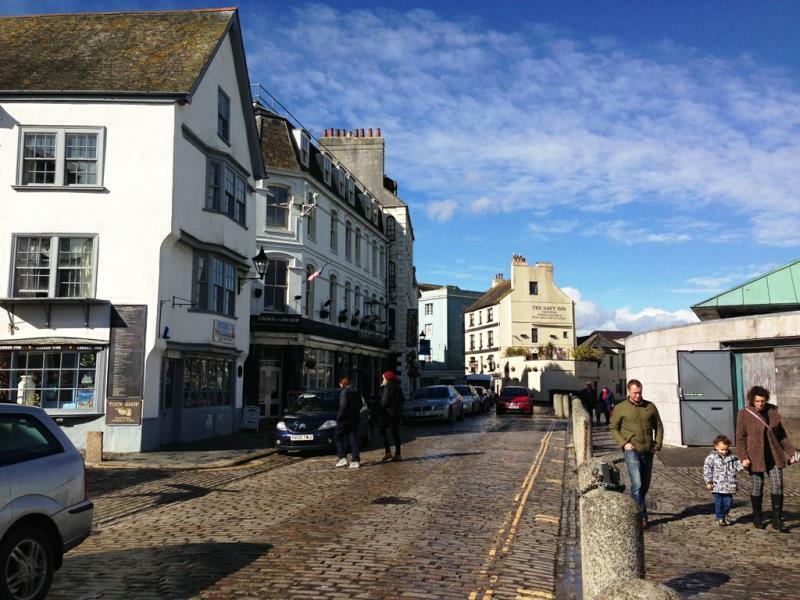 If you’re looking for a place to spend a night or two, The Duke of Cornwall Hotel is an excellent choice; it’s about a 15 minute walk from the Barbican, or a few minutes by taxi. 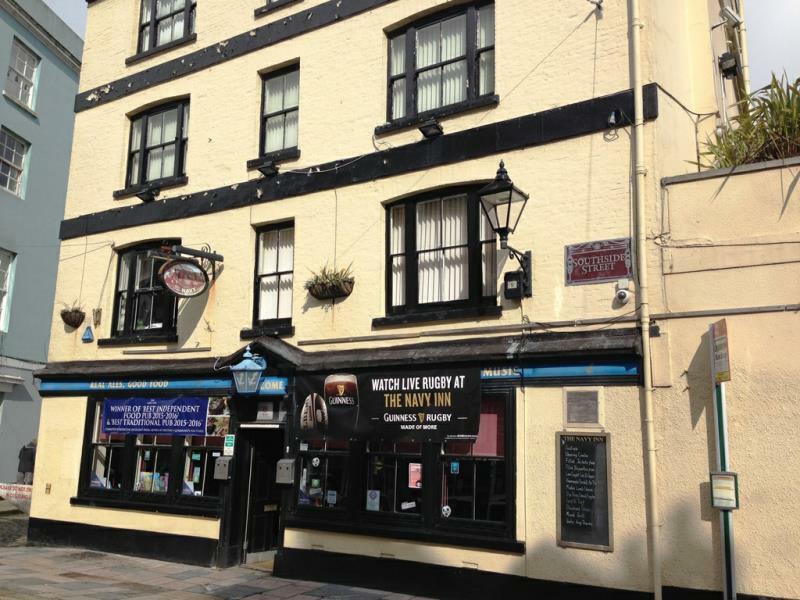 After spending an evening in the Barbican’s pubs, a walk will probably be just what you need, and the comfortable rooms at “The Duke” will be waiting for you when you get there.